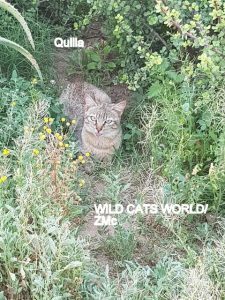 The newest addition to the WCW family is African wildcat female Quilla. Last Sunday (21st) she arrived and she settled in nicely. Of course the other wildcats were very curious to see their new neighbour and esp. Maurice (like it should be) was exited to see her from start and immediately started calling. Promising for the future. Luckily Quilla did start eating well right after her arrival so she is doing well. She is a pretty girl too as you can see, and like Louise she tends to stick out her tongue (to the photographer). More photos of her will follow later when she is completely at ease. Follow her and us on social media for the latest up-dates. On the 26th of March 2018, our black-footed cat female Lilly gave birth to another kitten. 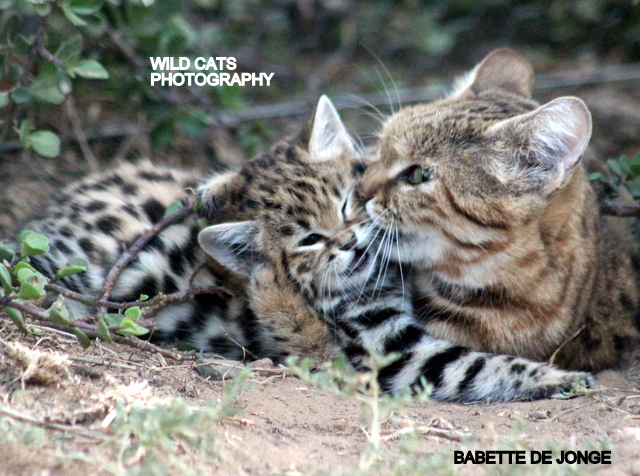 The second birth of this season, which is very normal for black footed cats. In September 2017 she gave birth to Lady & Lucky, who are still doing well, and this new kitten seems to be a girl as well, though isn’t officially sexed yet. So far so good, and we are very happy, as the species is very rare and endangered, and very vulnerable to stress-related illnesses like kidney failure, why most of them die on young age. 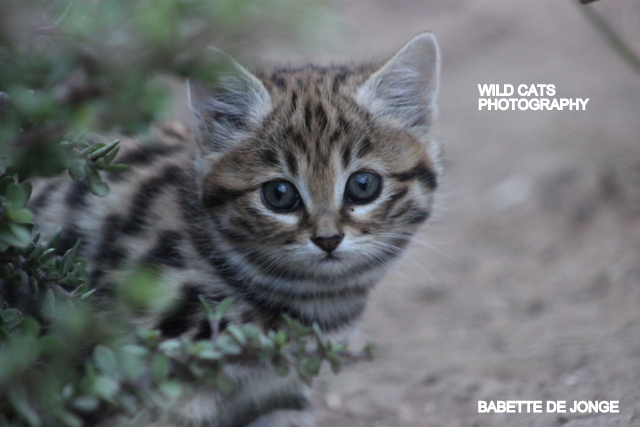 One of the essential conservation projects of Wild Cats World is focused on the Black-footed Cats. 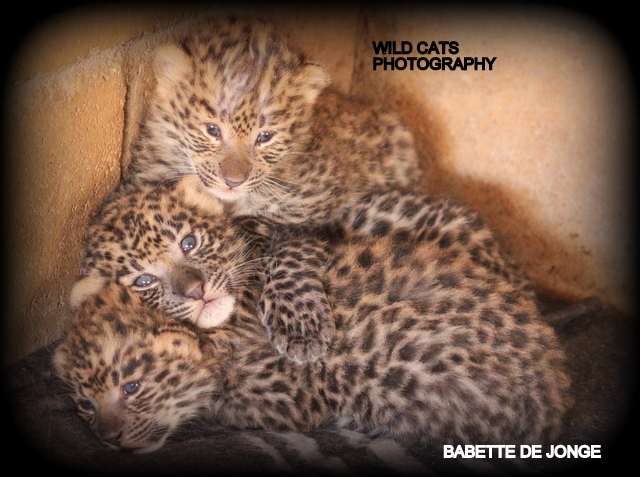 A first glimpse of Olive, Solo, Beau & Bahati, the four young leopards born and (mother)raised at Wild Cats World, who in March this year were relocated for a (soft) release…… Founder/CEO of WCW, Babette de Jonge, went to visit (search for….) them, and these are the moments captured of the first glimpse, to show best the confirmed news that they are doing great (as expected) and are showing the exact right wild behaviour already. Esp. Solo and Olive turned very elusive and preferred to hide away for the vehicle…. They are in same territory as a rehabilitated wild male ( with Olive) and 2 wild females, Phoenix & Cleo (with the three boys). For who said “you can’t”….we only want to say: “yes we can!! !” Thanks to all involved on our great journey to get the bigger and better for all cats, and have many released or free roaming in near future!! 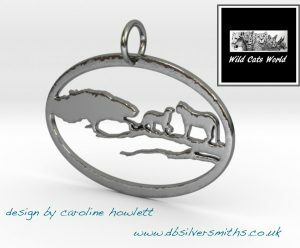 Check this out – Amazing jewellery for sale, featuring the species we fight for in our S.A. project (and other places)…..like the leopard and caracal. 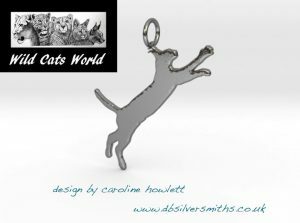 Buying these jewellery means supporting Wild Cats World, 20% of the profits will go to our charity to do even better for the wild cats. 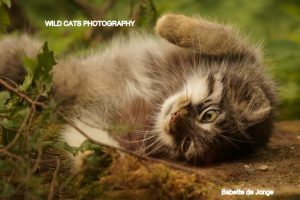 How to support Wild Cats World projects and cats? Become a Friend, (symbolic) Adoption parent or Volunteer. Donations from 100 – 300 a year will get a monthly up-date with inside information about all the projects, animals, births or sad goodbye’s…about the relocations and releases. Donations from 300 – onwards, will get a 2 weekly up-date, but also previews or instant up-dates about important info. 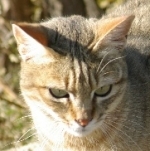 You can donate to Wild Cats World in general, or to one specific species: African wildcats, Black-footed cats, Caracals, Cheetahs, Leopards and Servals. Your kind donations will support us to create bigger space for the cats that cannot be released and support our huge monthly meatbills and other bills to give the best of care. Write to info@wildcatsmagazine.nl if you are interested and if you have questions about how to donate. 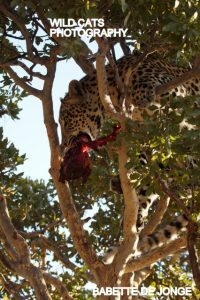 For this conservationist, there is only one way to start her day – by hanging out with leopards. 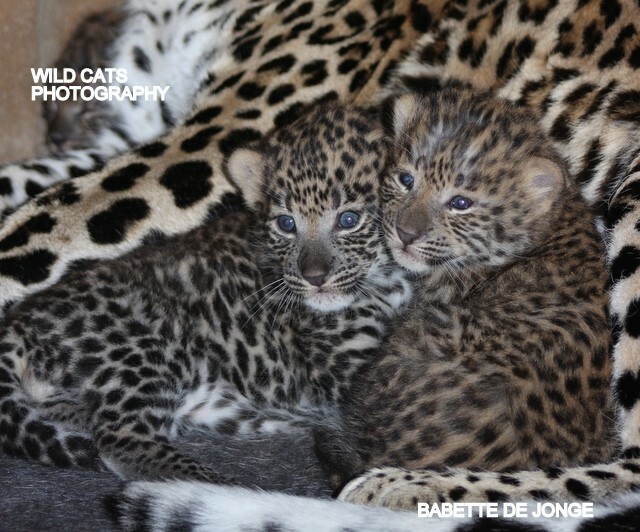 Babette De Jonge, 50, founded Wild Cats World in 2011 to help conserve endangered big cats, such as leopards and African wild cats. 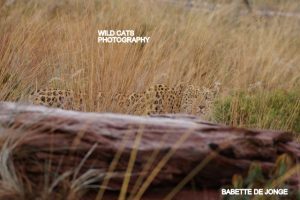 Based in Kirkwood, South Africa, the sanctuary is home to four leopards, and one cub, cheetahs, servals, caracals, African wildcats, Africa’s smallest cat – the black-footed cat and a group of 8 feral cats. 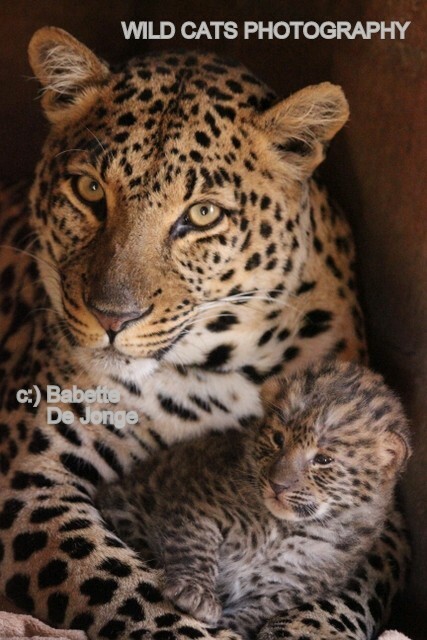 By building up a mutual respect with the leopards – who were rescued from exploitation – Babette has been able to work hands on with them during their rehabilitation. Babette told Barcroft TV: “I just go in naturally and I see how they behave and if it’s nice and fine, I’m staying. If not, I go out and the game is over. “It’s nice to go in and they come to you and greet you. They give you a rub, sometimes they spray you. I just respect them, I’m not afraid to go in with them to keep this special bond. 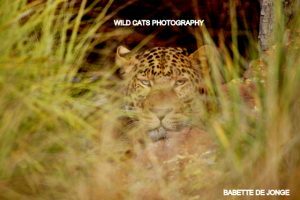 Babette is passionate about providing the best forever home and care for the cats, as well as supporting endangered species with essential conservation programs, but she does not encourage others to interact hands on with big cats. 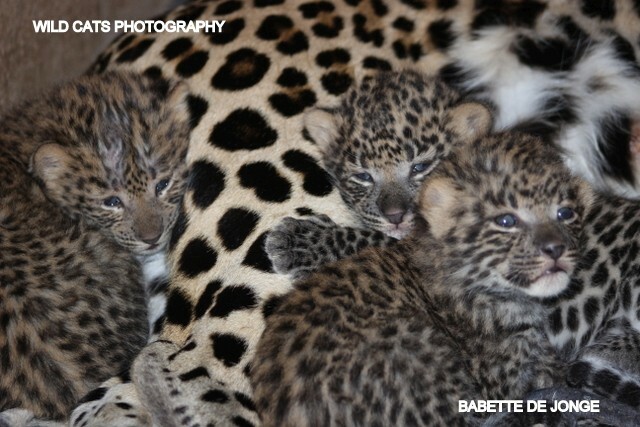 She said: “The rescues were four leopards, Feline, her brother Felix, another male Felipe and his female Felicia. “For years, I was just an average animal lover. When I started to volunteer at sanctuaries, I thought, well there are certain things I really don’t like – how animals are being kept, how they are treated. 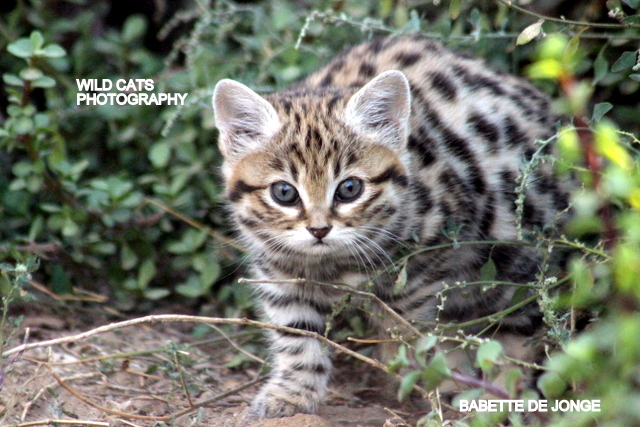 Babette has rescued cats from canned hunting, exploitative petting centres and trapped or orphaned in the wild. 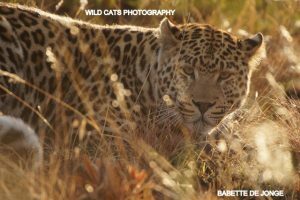 The conservationist said: “Feline, is an African leopard. We got her in 2011 when she was born. She was at a breeding farm, who took her away from her mother. “I saw how she just had to interact with people, that’s why we brought her here with a better enclosure. We took her brother, so we sort of rescued him to be company for her. 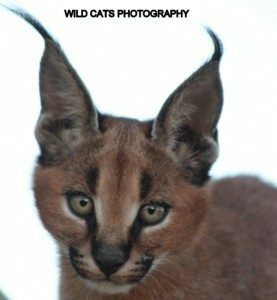 The rescues at the sanctuary include wild caracal kittens that were orphaned after a farmer shot their mother. Sanctuary employee Zanell McCarthy added: “Every cat has a very different personality, like one can be very loving, one can be very playful, some are a bit calmer than others. You cannot really compare one cat to another. “It’s just something you cannot describe to someone, the bond that you build up with these animals is just amazing. “If you see the power that these animals have and the way that they play with each other, you see how strong they are. 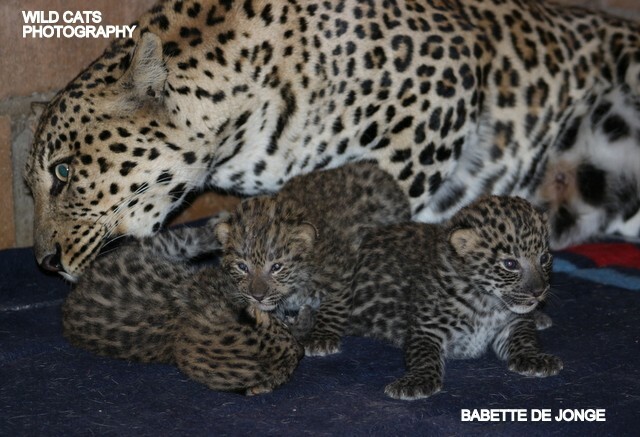 Babette ensures that their diet is as close to what it would be in the wild, so they feed on game meat, like e.g. impala, zebra, full prey like rabbit and sometimes a whole chicken. The conservationist’s ultimate goal is to release the animals into the wild for who possible and, for those animals that must stay in captivity, she aims to release them into huge enclosures to give them an experience as close to the wild as possible. This is phase II and has already started. 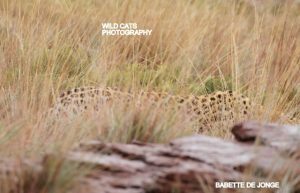 The four rescued leopards have now been relocated to Mpumalanga Province at Ubhetyan OAfrica for soft release back into the wild. And they are doing great! 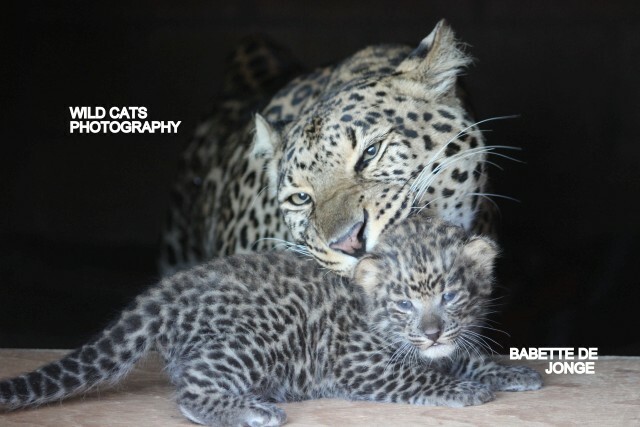 National Park is interested to release 7 leopards from Ubethyan, including the ones from WCW. Babette said: “Cats in general, whether they’re domestic or very small or very big, I’m just attracted to their looks and also to the way they’re so independent but also so loving.